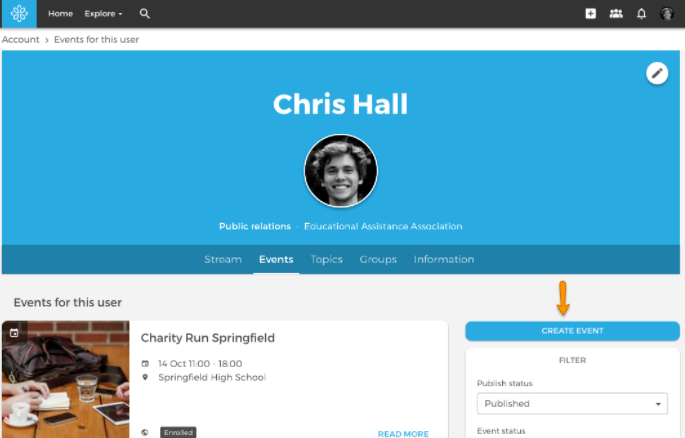 Events allow users to organize, discuss topics, and join activities. Events can be placed in a group or outside a group. 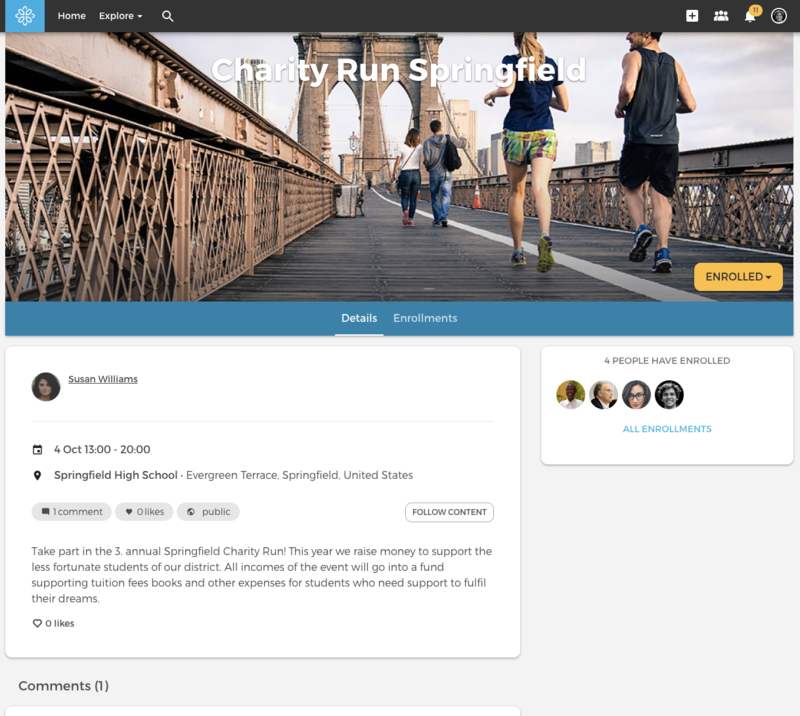 When creating it outside a group the event is visible on the home page stream and on the profile of the author or the event overview in a group. 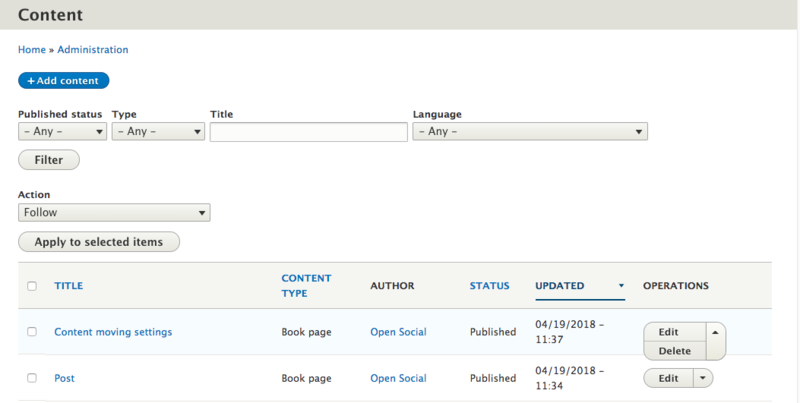 You can create an event by using the ‘+’ button in the header menu or the button on the event overview page of your profile. When creating an event, you can choose to either add it to a group or not. 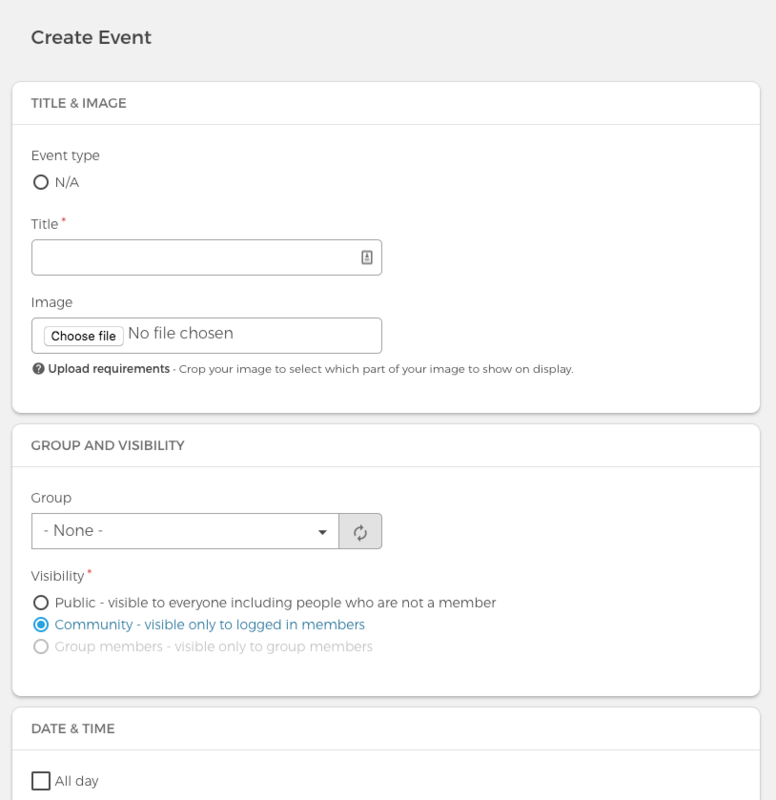 You can also create an event in a group directly from the group itself. An author can edit their own event, but site managers and content managers can edit any event created by others unless they are unpublished. Same goes for deleting an event. This can be done at the bottom of the event edit page, or management roles can delete it from the content overview.